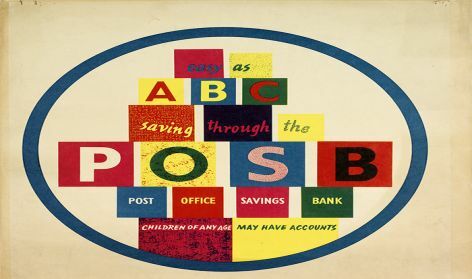 'Post Office poster' From a selection of posters for the General Post Office and Post Office Savings Bank (1948). Catalogue number: RHZ-4-1-6. 'The Pack Age'. 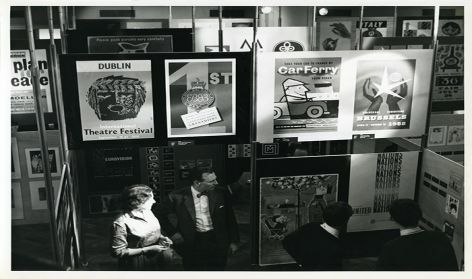 An Exhibition of packaging designed by members of the Society of Industrial Artists and Designers, Design Centre, London (1965). Catalogue number: RHZ-1-1-43. 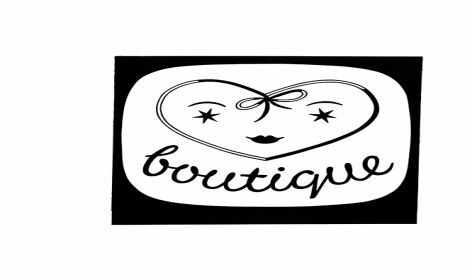 'Boutique Shoes logo'. Designed for Boutique Shoes Ltd of London (1961). Catalogue number: RHZ-1-1-3-1. 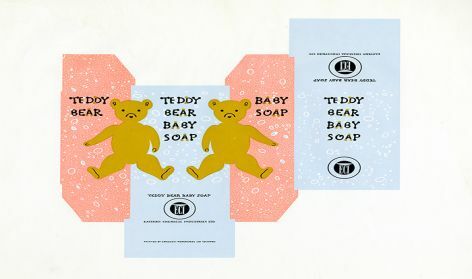 'Packaging for Teddy Bear Baby Soap'. Printed by Swadeshi Newspapers Ltd., Colombo, Ceylon (1950s). Catalogue number: RHZ-1-1-8-1. Hans Arnold Rothholz (1919-2000) was born in Dresden. He arrived in Britain in 1933 and enrolled at the Reimann School where he studied commercial art and display design. Rothholz went on to design posters for clients including the Royal Society for the Prevention of Accidents (ROSPA) and the Post Office. In the late 1940s he designed promotional material for Wembley Stadium and in 1951 he was commissioned to work on the Festival of Britain. Correspondence with other clients from this time include BEA and BOAC, the shoe company Splendida, J Arthur Rank Film Studios, Shell, and El Al airlines. Rothholz designed murals and graphic schemes for the Bacon & Egg restaurants and the Grill & Cheese chain. Throughout the 1960s he re-branded Winsor & Newton art packaging and produced a new corporate identity for Wellcome. Rothholz was a fellow of the Society of Typographic Designers and the Society of Industrial Artists. Browse this archive. See also the feature article on HA Rothholz.